If you're getting into your track riding then there'll come a point when you'll want to step up and get your own bike instead of dragging one out of the hire shed. When that day comes, the Merida Reacto Track 900 could be a very sensible choice if you're into the hustle and bustle of group racing. The aggressive, slippery alloy frame, carbon fork and high quality finishing kit come together to make a very appealing bike which rides well, and is very agile in the bunch. However, the fact that Merida can provide you with another build of this same excellent frame for about half the price rather takes the shine off it, and that's easily the better buy. Merida's Reacto aero frame has been around a while now, both in alloy and carbon incarnations. The alloy frame that's at the heart of this bike is not a million miles removed from the road-going version in terms of the look (we tested the £999 Reacto 300 build back in 2015) but the geometry is savage in comparison: the 56cm frame is 10mm longer and 32mm lower at the front, giving it a stack-to-reach ratio of 1.31 compared to the road Reacto's 1.42 in the same size. That's a very different feeling bike; purposeful, you could call it. If you're on the track where fractions of a seconds matter, and 80% of the drag you're creating is from your body, you want to minimise your frontal area and the low and long position helps to do that. Of course, the frame itself is also designed to be pretty slippery. The Reacto Track uses the same truncated NACA 0028 airfoil tube shapes as the road bikes. The idea is that you take a full airfoil section and chop the back of it off: that keeps the frame shapes manageable (and within UCI limits) while retaining a lot of the aerodynamic benefit of the full airfoil shape. How much time will that save you on a lap of the track? I don't know, really. Probably just a little bit, but little bits are what separate riders in track disciplines, so every little helps. On the boards the Reacto Track is well behaved. The 73° head and seat angles make it pretty responsive in the turn and the bike feels very solid at the front. Comfort isn't really much of a consideration on a track bike, but stiffness is, and the Reacto is nice and stiff. There's plenty of material in the right bits of the frame and the good quality SRAM Omnium crankset, running on outboard bearings, delivers an instant kick to the back wheel when you jump on the gas. There's no discernible flex in the transmission at all, even at maximum effort. The drivetrain isn't the quietest, but the high quality components should basically last forever. With the possible exception of the outboard bottom bracket, but even that won't be subjected to the wet conditions that normally kill them off. One place where a bit of comfort is welcome is on the bars, especially if you're planning on long scratch or points races. I wasn't impressed with the Merida track tape and for the sake of an extra 2mm of depth to cause drag round the handlebars I'd certainly swap it out for something a bit plusher if it was my own bike. The Merida Race saddle I got on with just fine. So who'd be interested in a bike like this? It's an all-purpose track iron with a bit of extra aero, so if you're into mixed track riding but you're not at a level where you can really justify more than one bike, it might suit very well. It's not a pocket-money buy at £1,500, though, and the thing that stymies it most of all is the fact that Merida offers an £800 Reacto Track 500 build that's built around the same frameset, so you're getting the excellent frame and fork, with aero seatpost, and even the same bars and stem, but a downgraded transmission and wheelset. 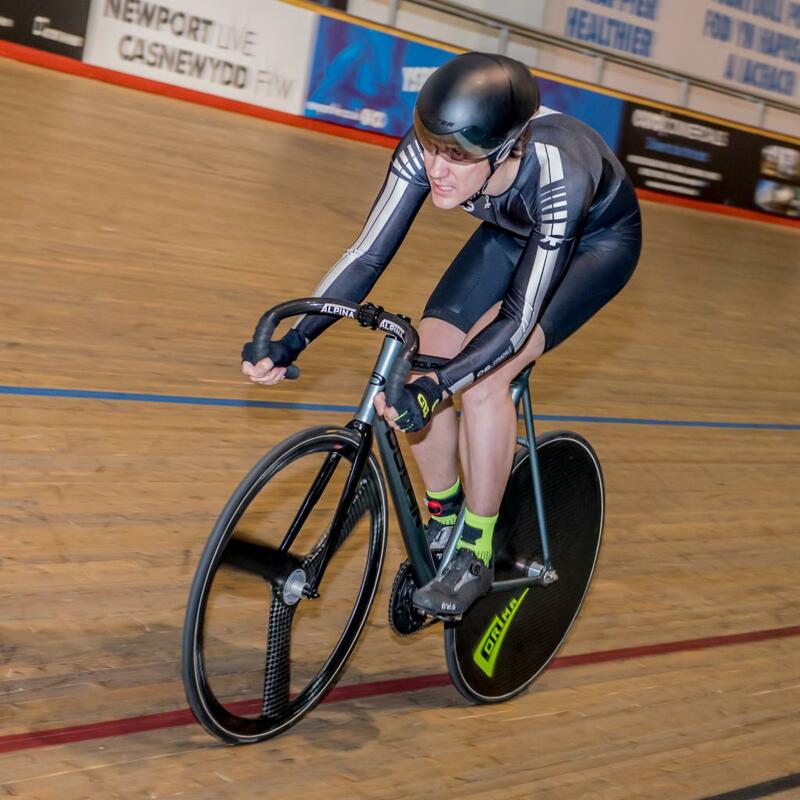 Even buying all the bits from the more expensive bike, at full RRP, doesn't add up to the difference, so you're better off getting the cheaper build and you can spend the difference on whatever you fancy: some posh track tubs, or a pursuit handlebar setup to swap out if you fancy going after some fast times on your own. There's just not enough bolted to a track frame to justify the £700 difference between the two. If you're interested in either then it's a case of contacting Merida directly; the bikes are available in the UK but you're unlikely to find one on the shop floor of your local Merida dealer. A good step up from the hire fleet if you're getting serious about the boards. The 500 build looks much better value though; it's not as nice looking but functionally doesn't lose out that much. What width bars does it come with, they look wide. This bike is especially suitable for track riding. 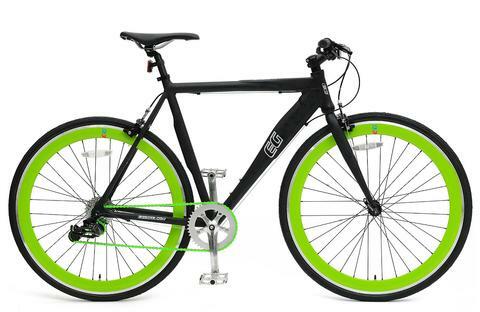 The accessories which are slippery alloy frame, carbon fork and high quality finishing kit which come together to make a very appealing bike which rides well. The price of this bike is little bit high. because you're having the excellent frame and fork, with aero seatpost, and even the same bars and stem, but a downgraded transmission and wheelset.